Product information "ProAction with CGO4"
For many years the legendary Lumix GH4 has shaped the world of images of commercials and music videos. In close cooperation with Panasonic, we have transplanted the GH4 technology into a lighter case and provided a link to the smartphone so that the entire camera control as well as the live image is viewed via an iOS app. The smartphone can be conveniently clamped in a holder on the ProActionGrip. 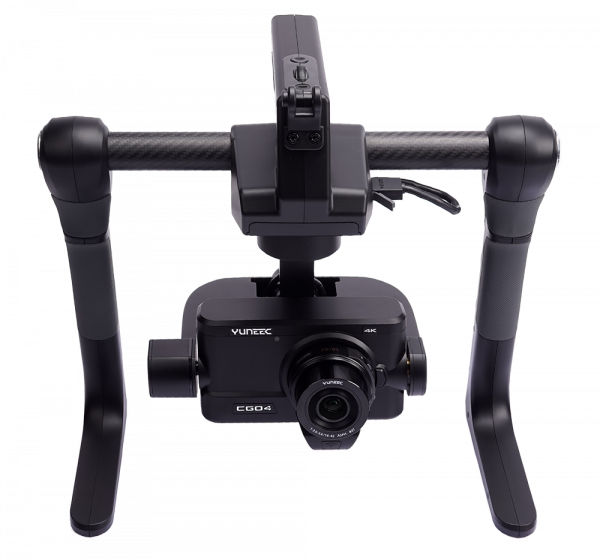 The now CGO4 baptized camera is equipped with a changeable 14-42 mm zoom lens and records sensational 4K images in professional quality via its micro four / third chip. Please note that this product requires a separate Li-Ion charger with balancer connector. A connection cable is already included in the scope of delivery. Related Links "ProAction with CGO4"